Authoring 11 bestsellers and the founder of Sharma Leadership International Inc., Robin Sharma delivers inspiring and motivational talks to rooms filled with employees from Fortune 500 companies like Microsoft and Nike. O.Noir is among unique dining experiences in the world: patrons eat their entire meal in the dark. Owner Moe Alameddine feels dining in the dark allows customers to appreciate both their food and their sight even more. Fitting, as Alameddine’s entire staff is blind. Those touched by cancer know the turmoil it causes. Gilda’s Club provides a social community for those with cancer in their lives, bringing a range of people together to help alleviate emotional burden and build support. Diane Dupuy is the founder and president of the Famous People Players, a theatre troupe that uses puppetry to pay homage to celebrated artists. Her production employs individuals who are developmentally challenged, believing everyone can and should contribute to society. Dupuy has been appointed to the Order of Canada for her work. 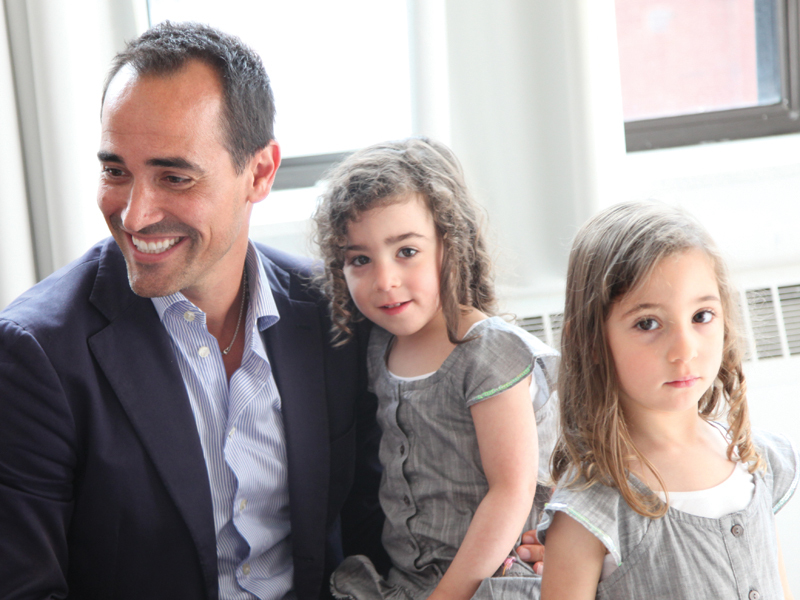 The David Rocco’s Dolce Vita star serves his dishes with a side of philanthropy. He recently joined celebrity foodies at the charity cook-off Chef’s Challenge in support of Mount Sinai Hospital, but not before hosting Brunch for a Cure, an event raising funds for the Toronto hospital’s breast and ovarian cancer research department. 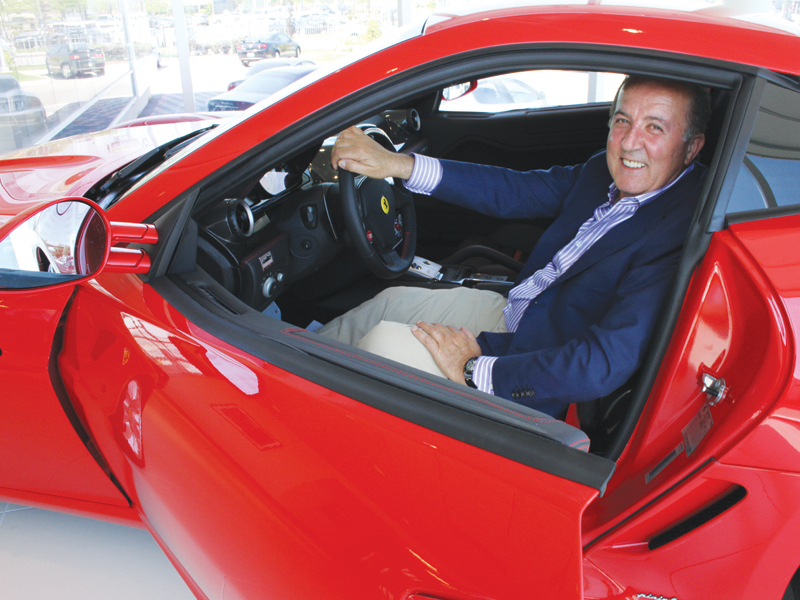 Remo Ferri of Ferrari Maserati of Ontario has helped to raise close to $2 million with his Annual Rally in support of the SickKids Foundation. Phyllis Novak founded the Toronto art studio Sketch 15 years ago because she felt homeless youth needed more than just food and shelter. For Novak, creative expression not only includes homeless youth in the artistic community, but also boosts self-esteem and a desire to develop. Raising her voice in the name of philanthropy, Grammy award-winning Sarah McLachlan was conferred an honorary degree of doctor of fine arts by Simon Fraser University this year. In 2003, she founded The Sarah McLachlan Music Outreach Program, which enables inner city youth in Vancouver access to free music classes. Over the years, she has participated in benefit concerts and a telethon to raise funds for AIDS sufferers, women’s charities and tsunami relief efforts in Southeast Asia. Even in our more prosperous country, poverty is still present. Peter Wixson has been involved with the Vaughan Food Bank for over two decades, and its executive director for 16. His dedication to feeding those in need recently garnished him with the City’s Ward Civic Hero Award. 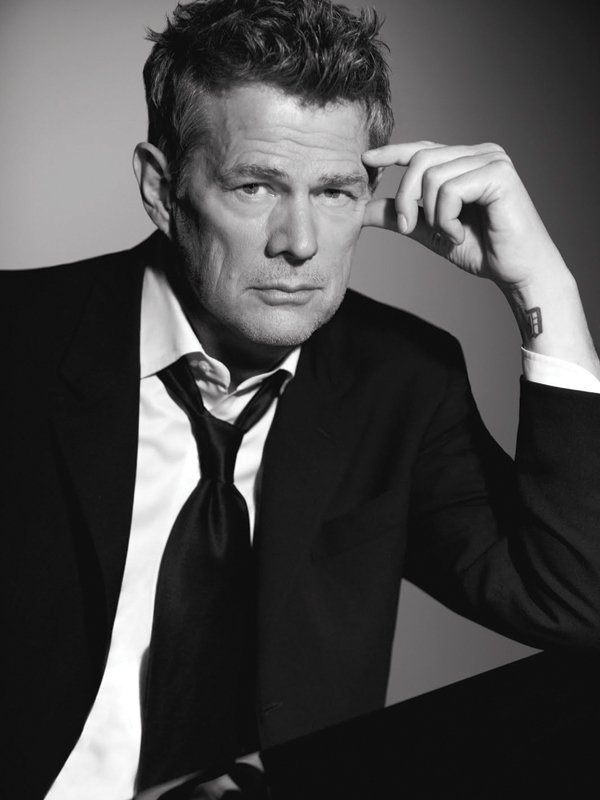 Committed to supporting Canadian families with financial support, the eponymous David Foster Foundation sheds awareness on a medical crisis that has more than 4,000 people in Canada awaiting life-saving organ transplants. In Ontario alone, someone on a waiting list for a vital organ dies every 72 hours. The legendary producer has also participated in Celebrity Fight Night to benefit Muhammad Ali’s Parkison Center, and Andre Agassi’s Grand Slam for Children. Since 1982, the Ontario Trillium Foundation has been working with volunteers from across Ontario to build and improve the communities they inhabit. Providing roughly 1,500 grants annually, this not-for-profit has provided the financial backing that allows communities to flourish. There’s a reason why his name was repeatedly mentioned at The Good Neighbours’ Club’s annual day for the homeless this past summer. Whether he was fighting for Canada’s seniors, the sick and the destitute, his voice continues to be heard for those who can’t speak for themselves. When all hope is lost, there is Franca Carella. The local woman is a champion of compassion, having founded a non-profit organization that has helped to rebuild the lives of individuals and families shattered by substance abuse since 1987. 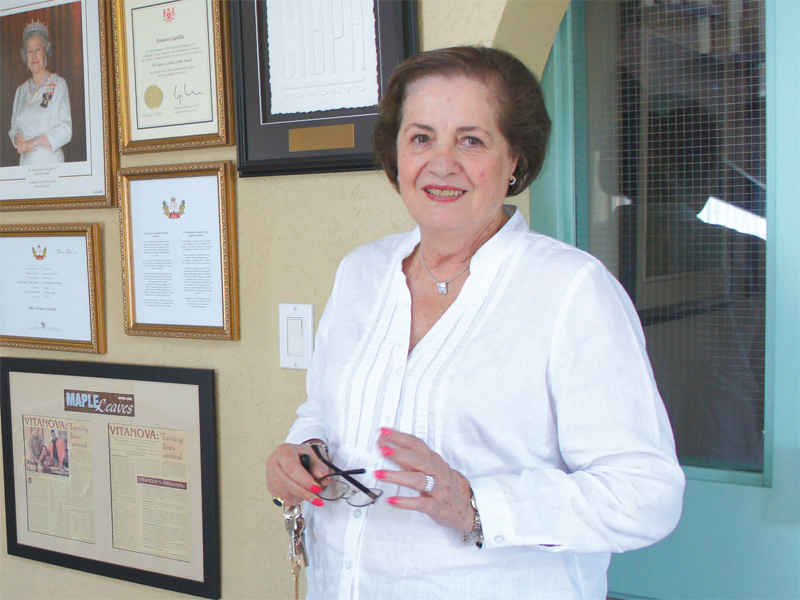 Over 15,000 people have walked through the doors of the Vitanova Foundation in Vaughan, and Carella, who bestows the rare quality of turning sorrow into happiness, has welcomed all with open arms. Both an organization and a philosophy, Hospice Vaughan provides counselling and support to families faced with fatal illness and loss. Its work has helped many handle heartache and cope with grief; giving hope and meaning to lives afflicted by tragedy. 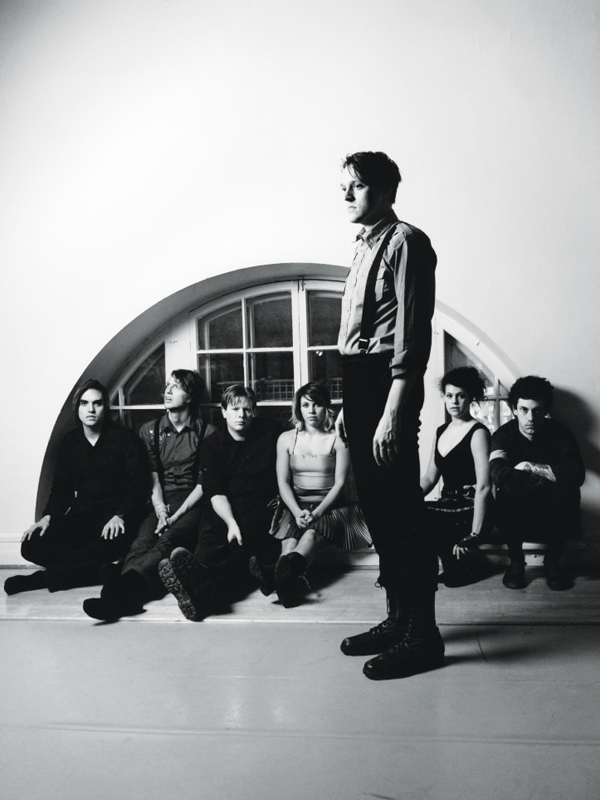 Arcade Fire’s ethereal, Grammy-winning sound not only demonstrates the power of Canadian artists, but that honesty and heart overrides today’s commercial world. The band pledged $1 million to charity after the 2010 earthquake in Haiti. A senior scientist and physician at the University Health Network, Dr. Alex Jadad travelled the world, visiting 94 countries to create a global conversation on what kind of healthcare people need, as opposed to what the system delivers. His resulting Staircase of Support is meant to create a health-care system that builds stronger communal support and extends beyond the hospital. Dr. Jadad is the chief innovator and founder of Centre for Global eHealth Innovation at the University of Toronto. In May 2009, Emmanuelle Gattuso, with the support of husband Allan Slaight, gave an exceptionally generous gift to The Princess Margaret Hospital Foundation. Donating $12.5 million spread out over several years, the pair continues to donate by matching every dollar raised for The Gattuso Rapid Diagnostic Centre. Owner of Greenpark Homes, Canada’s largest home building company, Carlo Baldassarra has built an empire over the 44 years it’s been in operation. But Baldassarra is also a man of the community, donating millions to local causes, including $1 million to the Markham Stouffville Hospital. After merging her company, Indigo Books and Music, with Chapters in 2001, Heather Reisman formed the largest book retailer in Canada. In 2010, she started an online petition to save Sakineh Ashtiani, an Iranian woman, from being stoned to death. Active in Toronto since 1995, Harbinger Foundation strives to fund registered Canadian charities that help improve the quality of life on the global stage. 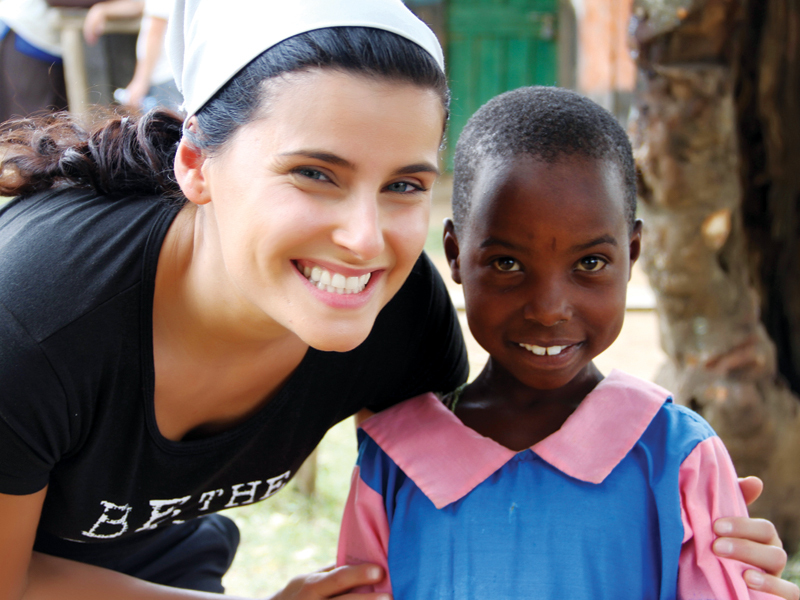 Its work has brought access to clean water in poverty-stricken areas around the world. 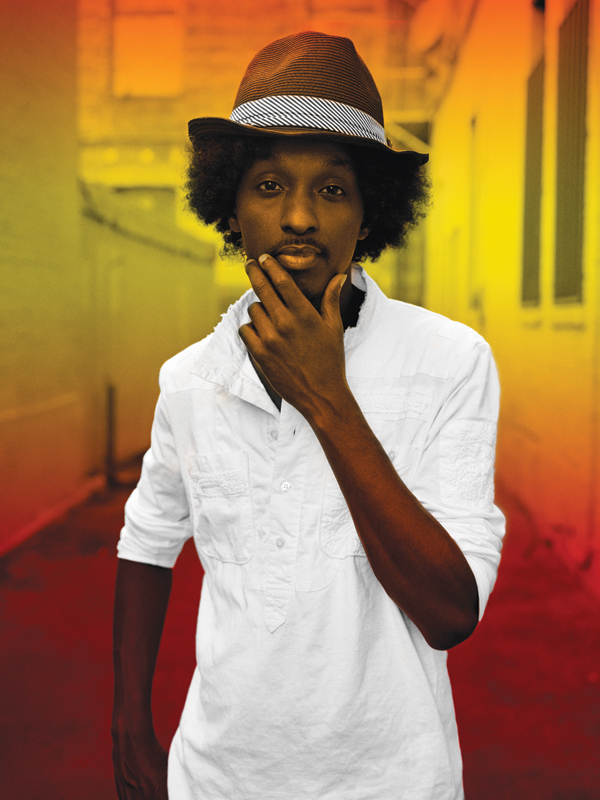 Best known for his celebratory hit Wavin’ Flag, Somali-Canadian rapper K’Naan became an ambassador of hope to the Horn of Africa Crisis this year, rallying support and giving voice to millions of residents living in Somalia, Kenya, Ethiopia and Tanzania as they fight to survive the worst drought in 60 years. The humanitarian-activist, whose thought-provoking lyrics bring world issues to the forefront, also took part in the charity concert Hope Rising!, which benefits the Stephen Lewis Foundation. Not only has Susan Hay’s sunny smile brought both weather and news to Global Television’s audience, but her charitable work has also brought shelter from the storm. She’s the spokesperson for organizations that include Toronto’s Ronald McDonald House, the Leukemia & Lymphoma Society of Canada, and the Heart and Stroke Foundation of Ontario. Elementary school teacher Cathy Bertucci improves her Grade 5 class at Our Lady of Family Catholic School with an innovative approach that has been featured in Natural Curiosity: Building Children’s Understanding of the World Through Environmental Inquiry, which is available in school libraries across Ontario. 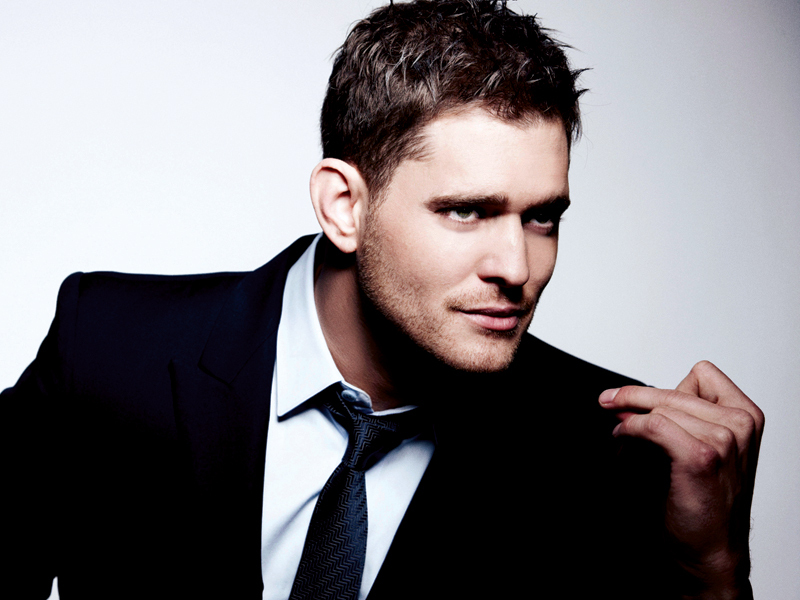 The cool, classic crooning of Michael Bublé has charmed audiences the world over, catapulting him to the pinnacle of pop music stardom. 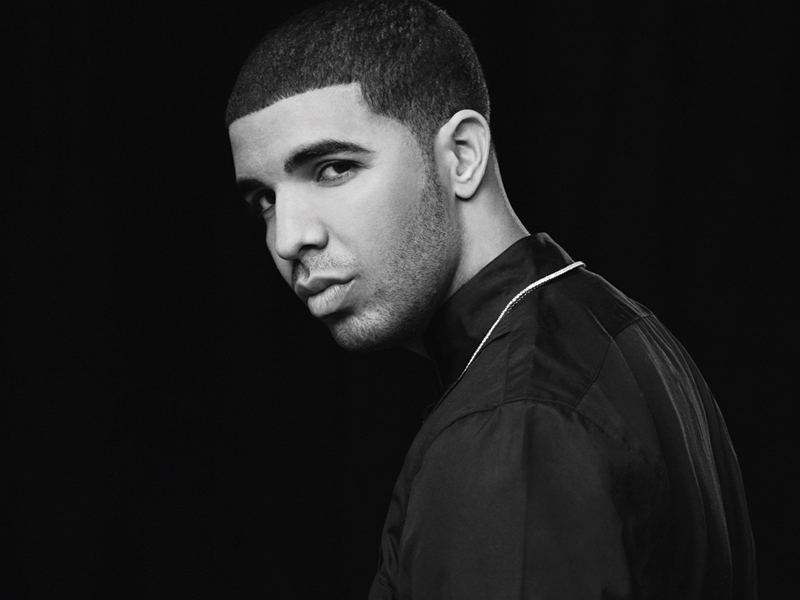 He’s sold over 30 million albums, won three Grammy Awards and numerous Junos. Using her renowned choreography talents, Eryn Waltman synchronized her dance company, Conteur, with the charity Three To Be and So You Think You Can Dance Canada alumni for the State of Mind event, raising money for research on children’s neurological disorders. As one of North America’s leading brain tumour facilities, The Gerry & Nancy Pence Brain Trust Centre provides the resources, support and treatment those suffering with a brain tumour need. Its groundbreaking research and innovative programs have drawn the attention of hospitals the world over. 30. George Stroumboulopoulous An icon of Canadian television and host of George Stroumboulopoulous Tonight, his edgy yet light-hearted nature and critical eye has made him a favourite of audiences young and old. He’s won numerous Geminis, including best host three times, and is heavily involved in charitable endeavours and environmental campaigns. Her directorial dexterity has filled our film reels with powerful moments and moving cultural stories – sweeping accounts that have received industry and critical praise throughout her career. As of late, the Indian-born Canadian director of films such as Oscar-nominated Water (2005) and Midnight’s Children (2012) has received a Lifetime achievement award from the Canadian Centre for Diversity, which gives Canadian youth a platform to move beyond stereotypes and lead positive social change. Teen heartthrob Justin Bieber has heart. He recently launched Believe Charity Drive, which directly benefits the Make-a-Wish Foundation, City of Hope, Boys and Girls Clubs, and more. Proceeds from every purchase of his holiday album Under the Mistletoe will go towards Believe. The Canadian music export has also auctioned off his pet baby boa constrictor to raise funds for non-profit organization Pencils of Promise, a leader in global education space. Once a-pack-a-day smoker, Ray Zahab transformed his life, becoming an ultra-marathon runner and adventurer. His epic journeys have taken him across the Sahara Desert on foot in 111 days, in an effort to raise awareness on Africa’s water crisis. For over 25 years, this organization has built or repaired over 500,000 homes for more than 2 million people across the globe. Her career has nearly spanned two decades, producing 17 top 10 singles, winning eight Juno awards and receiving a star on Canada’s Walk of Fame. 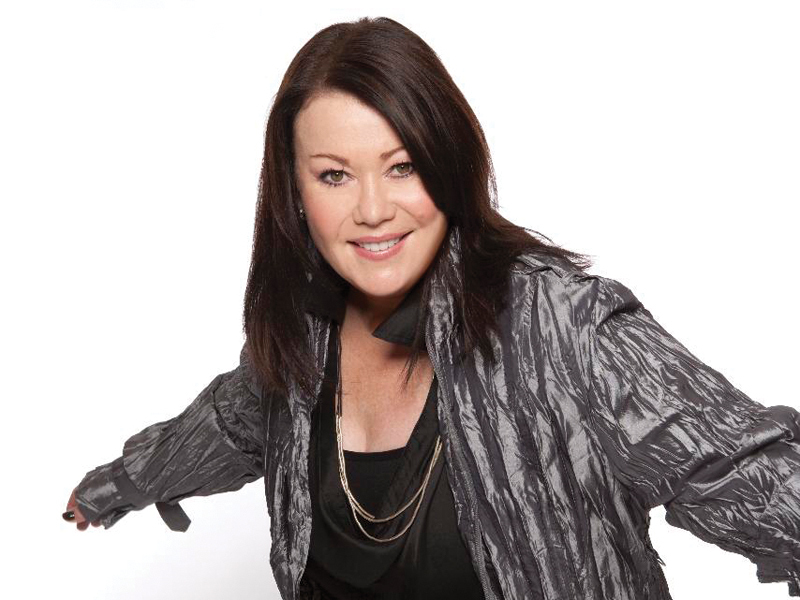 Jann Arden is a Canadian music icon. Childhood obesity has become a prominent issue in society. In response, the Heart & Stroke Foundation launched Spark Together For Healthy Kids. Its mission is to fund local communal groups that foster physical activity and provide access to nutritious food for children. This past October at the Toronto Waterfront Marathon, the 100-year-old Fauja Singh proved age isn’t a factor when he became the oldest person to ever complete a marathon. The over-eight-hour run exemplified his refusal to never give up. With so much unrest in the world, we sometimes forget to look for those little joys. Neil Pasricha’s The Book of Awesome, and follow-up The Book of (Holiday) Awesome, asks readers to stop, smell the roses, and remember how awesome that is. Charles Peart was born without arms – a debilitation that would undoubtedly leave many stifled. But Peart’s drive is unyielding. He trained rigorously throughout his life, and refused to quit – even in the face of diversity. Today, Peart is a martial arts master, role model and testament of the human spirit. Donna Trella was brought to tears while being recognized on stage at the 25th annual Crystal Ball fundraiser in November. As founder of Reach for the Rainbow, Trella has been giving disabled youth, like her inspiring daughter Dove, an opportunity to be involved in summer camp programs. 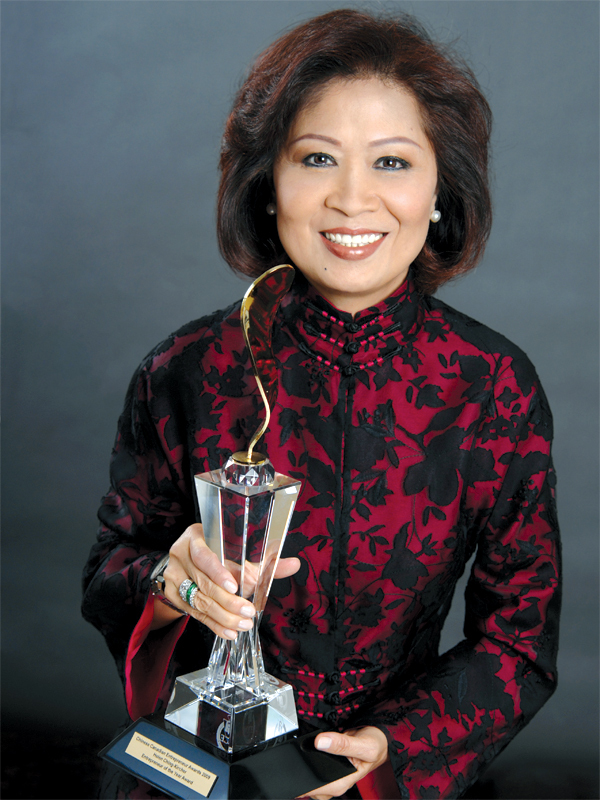 Downtown Fine Cars Inc. CEO Helen Ching-Kircher drives right into the heart of what matters. Her proven entrepreneurial feats in a male-driven industry are just pit stops on her road to success, as she avidly supports organizations such as Ontario’s Trillium Foundation, Ronald McDonald House and Mount Sinai Hospital. She may live in the fast lane, but slows down for those in need. When women endure physical violence and abuse, their world falls apart. Jen Plyler-Danch refused to sit by and let survivors be victims. She coordinated the Shape Your Life boxing program to heal body and mind, improve self-esteem and build confidence in a safe environment. In 2010, RBC invested nearly $57 million to various charities in hundreds of communities around the globe. Focusing on six key areas: education, health and wellness; social services, civic, environment and arts and culture, the RBC provides the financial backing that important organizations need to operate. War Child Canada has been working to increase education, decrease poverty and build protective environments for children in war-torn regions for over 15 years. It all started when Samantha Nutt saw first-hand the horrific conditions war created. Ever since, it has been her passion to alleviate this suffering. The former editor of Chatelaine magazine and author of My Mother’s Daughter (McLelland & Stewart Ltd., 2007), Rona Maynard tickles the soul as much as the heart. Her female readers resonate with her heartwarming stories, which have blossomed into an online community of women who, as Maynard, share private, beautiful moments of their lives on her website. Picking up the torch his brother so courageously carried, Fred Fox, the director of the Terry Fox Foundation, keeps Terry’s message burning by speaking at schools and communities across the country. He believes it’s the power of volunteers that have kept Terry’s dream alive, and why over $550,000 has been raised in his brother’s name. Losing his mother, grandmothers and best friend to cancer, Rob Dyer had much loss to grieve. But he refused to be swallowed by sorrow. He started Skate4Cancer, a journey that would see him skateboard from Los Angeles to Toronto to raise awareness and proceeds, and bring hope to skaters the world over. 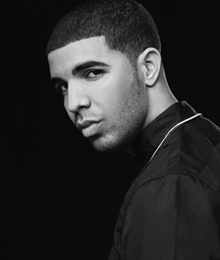 Rapper-singer-songwriter Drake was awarded with the Allan Slaight award for his noteworthy impact in the fields of music, literature, film, visual or performing arts, innovation, sports or philanthropy at this year’s Canada’s Walk of Fame Awards. The accolade included a $10,000 honorarium, which Drake dutifully donated to Dixon Hall, a social service agency that provides community support on multiple levels. “He’s an inspiring example to all,” said Canada’s Walk of Fame founding director Peter Soumalias in a press release. The chart-topper has also raised awareness for Jake’s House for Autism, the MS Society of Canada, Friends of Music Therapy at SickKids and someonelikeme.ca. Through conviction and hard work, one can scale great heights. Over the last 30 years, local real estate broker and industry innovator Vivian Risi has become an expert in market trends, mortgages and real estate. She is a broker of record and the founder of Royal Le Page – Your Community, which has 11 offices across southern Ontario and 815 realtors. Humans can’t live without water. Many, however, struggle daily to find this invaluable resource. Thankfully, there are organizations like One Drop – an initiative of Cirque du Soleil founder Guy Laliberté – to help. One Drop has worked in regions like El Salvador, Haiti and India to ensure more people have access to clean, drinkable water. Art is an essential part of society – a maxim the Hal Jackman Foundation holds on to wholeheartedly. Over the past 20 years, this organization has bestowed more than $13 million to over 200 artistic groups and institutions in Toronto, providing support for expression and creativity. 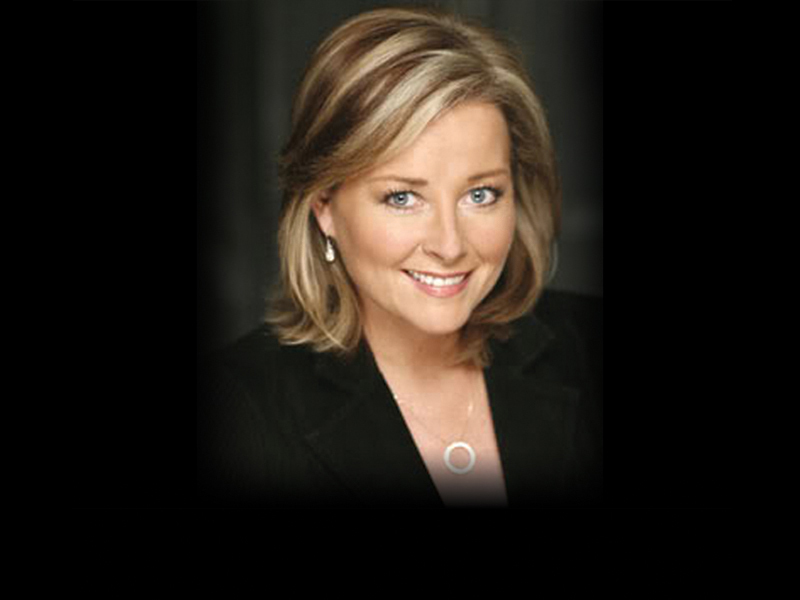 Journalist and co-host of CTV’s Canada AM, Beverley Thomson is extremely active with Canadian charities. 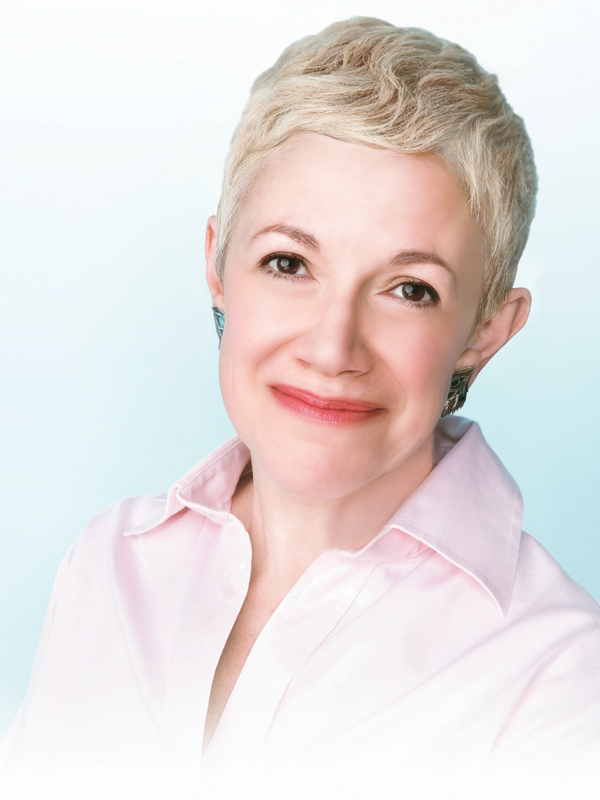 She’s the honourary chair and spokesperson for the Canadian Breast Cancer Foundation, and the honourary chair for the York Central Hospital Foundation. In 2006, Thomson received the Gemini Humanitarian Award for her efforts. At the young age of 19, Brittney Kuczynski felt too many children around the world were lacking adequate healthcare. She began the prestigious Oceana Ball to raise money for the Herbie Fund, which in turn pays for various children across the world to receive essential medical treatment from Toronto’s Hospital for Sick Children. Although legally blind, Domenic Condo has never let his lack of vision slow him down. He works with the Canadian National Institute for the Blind, raising awareness and support for others with impaired vision. He also captains Soundwerx, a highly successful recording studio where artists like Nelly Furtado and Finger 11 have recorded songs. Local award-winning photographer Silvana Frammartino sees the world differently. Her vision of society is one where everyone is equal and homelessness and poverty don’t exist. Frammartino goes beyond capturing these issues with her camera, creating events like the Toronto Homeless Drive, where she prepares and delivers meal bags to those in need. The founder and owner of Honest Ed’s in Toronto, Ed Mirvish was a businessman known for his philanthropist efforts and revitalization of Toronto’s dwindling theatre scene. 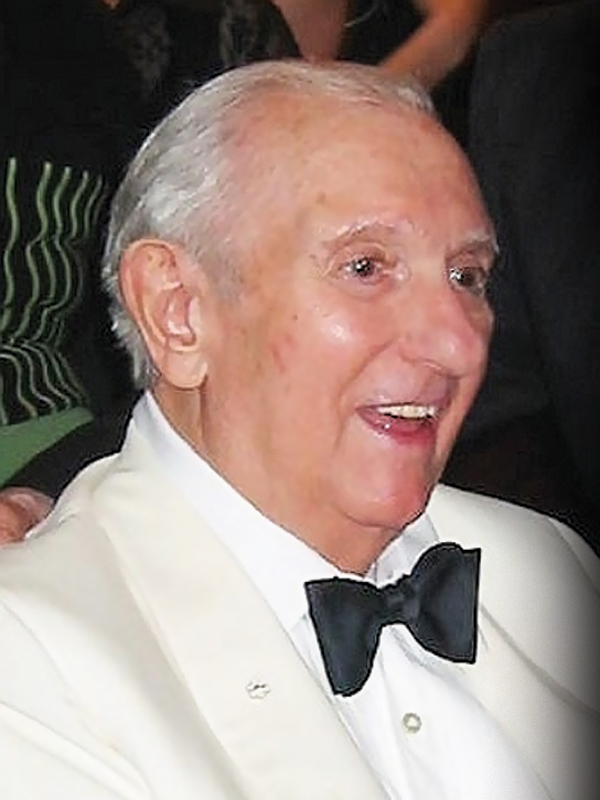 This charitable foundation honours his memory by supporting the performing arts, and various Jewish organizations. President of Colourfast Custom Coating Ltd., Joseph Manzoli has been involved in numerous charitable endeavours, chairing or co-chairing many over the years. One of his more notable initiatives includes the Ride for SickKids, which combines his love for motorcycles and desire to give back. When renowned fashion designer Izzy Camilleri was asked to create a coat for The Toronto Star journalist Barbara Turnbull, a quadriplegic, she didn’t realize just how different her needs were. Through this experience, Camilleri opened IZ Adaptive, a boutique carrying the IZ Collection: the world’s first line of adaptable clothing for her “seated” clientele. Serge Kaptegaine has an intimate understanding of the daily atrocities that take place in his native land of DR Congo, where millions have being killed over a mineral-fuelled war. 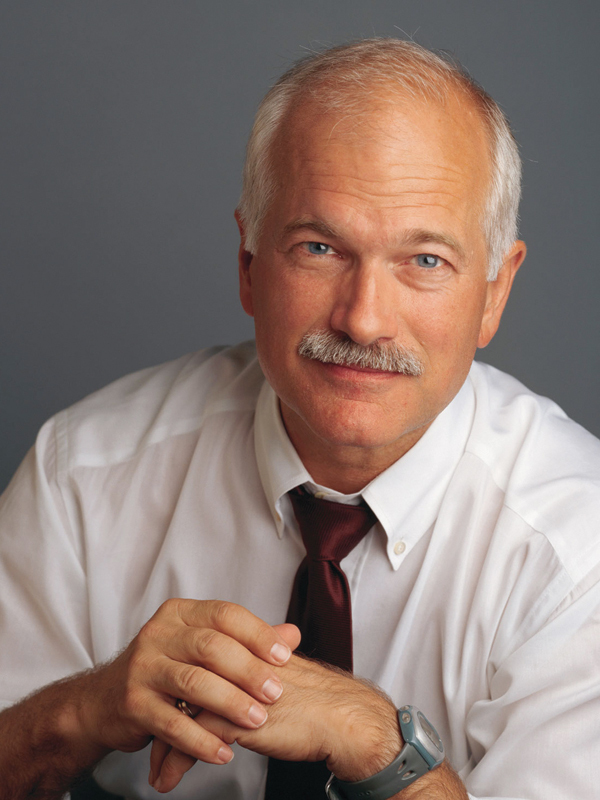 In 2005, he found refuge in Winnipeg, Manitoba, where he established two not-for-profit organizations: Hand in Hand for Peace, which educates Canadians about the conflict in DR Congo, and the Canadian Centre for Refugee Employment, Inc., which aids in the reintegration process of newcomers. The DeGasperis family has been in the construction and home developing business for decades. Michael DeGasperis, founder of Arista Homes, has been dedicated to giving back, sitting as the chair of the Vaughan Health Campus for Care and as director of the Vaughan Health Care Foundation. The success of her new album Siberia may be adding new followers to her digital realm, but it’s the real world that hits home for electric pop singer Lights Poxleitner. Earlier this year, the 24-year-old, along with radio host Jian Ghomesi, travelled with World Vision Canada to the Philippines, where she spent time laughing and singing with school children in the area. Her World Vision “30-Hour Famine” video, which encourages people to overcome hunger and help save lives, has thus far received close to 12,000 hits on YouTube. Representing the province of Ontario, Senator Linda Frum has a vast portfolio of volunteer work. The former vice chair of the Board of Upper Canada College and recipient of the Golda Meir Leadership award will soon join The Sandbox Project, an organization that promotes childhood health and safety. Past positions include honourary chair of Zareinu, a school for physically and mentally challenged children, and board member on the Canada-Israel Committee. Youth-focused programs encourage Canadians to become agents of change by way of creative expression. The Foundation is co-chaired by former governor general Michaëlle Jean, UNESCO’s special envoy for Haiti, who will become the chancellor of the University of Ottawa on Feb. 1, 2012. The Teresa Group has been providing services to hundreds of children and families affected by HIV and AIDS since 1990. For the past 14 years, they have been hosting the Mane Event Fundraiser, joining salons from around Toronto in support of this noble cause. Philip Lyall is a filmmaker from Vancouver who co-directed and produced the documentary 65_RedRoses. The film, which follows Eva Markvoort and her day-to-day battle with cystic fibrosis, sheds light on the struggle of combating the deadly disease. This list is an awesome tribute to people around us who can’t help but inspire good will in admirers when we see what these social changemakers accomplish out of the goodness of their hearts. What an epitome of karma it is that you have Eva Karpati, founding editor and publisher of Good News Toronto, on your list here. Your recognition of her heartfelt endeavour echoes and amplifies the very defininite purpose of Good News Toronto, that is to recognize and celebrate the everyday heroes among us. Thank you to the writer and to all the everyday heroes on this CityLife list for delighting and honouring us with the good fortune we have to admire what you do and to be inspired too. Wawww what an amazing inspirational act, this is what should be the headline of all news. Recognizing the work that these wonderful people are doing, it inspires the rest of the world to go in this direction. Good job serge and the rest you are a hero to so many.